As the second leading cause of cancer morbidity and death in women, cervical cancer remains an important public health problem worldwide. Novel biomarkers with high sensitivity and specificity for the early detection and diagnosis of cervical cancer are urgently needed. 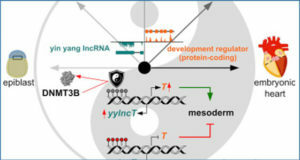 Increasing evidence shows that long noncoding RNAs (lncRNAs) are differentially expressed in cancer tissues and may serve as diagnostic markers. 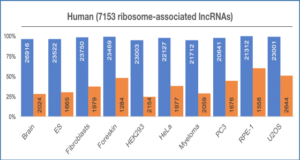 In multiple tumor types, exosomes harboring lncRNAs are actively released from tumor cells. 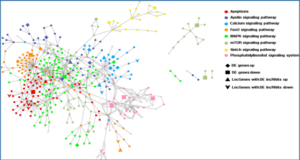 In this study, researchers at Taizhou Municipal Hospital investigated the potential association of exosomal lncRNA expression with cervical cancer. Cervicovaginal lavage specimens were collected from patients with cervical cancer and cancer-free volunteers who are HPV-positive or HPV-negative. Exosomes in these specimens were isolated by ultracentrifugation and confirmed by transmission electron microscopy. 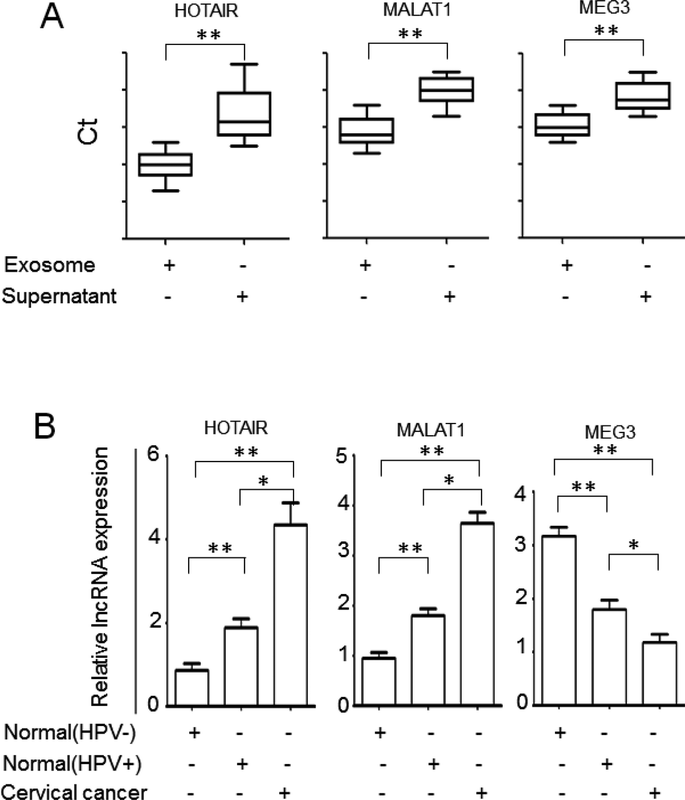 The exosomal lncRNAs HOTAIR, MALAT1, and MEG3 were quantified by qRT-PCR and the expression levels of these lncRNAs were significantly different in exosomes isolated from cervical cancer patients compared to normal controls. A. LncRNAs are enriched in exosomes isolated from cervicovaginal lavage samples. 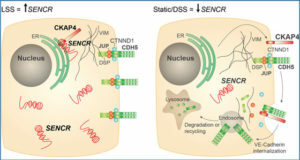 The levels of lncRNAs in exosome pellets and exosome-depleted supernatants were determined by qRT-PCR. The absolute Ct values are presented. B. 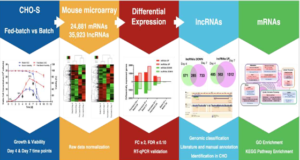 The exosomal lncRNA expression in cervicovaginal lavage samples from patients with cervical cancer and cancer-free control subjects was determined by qRT-PCR. The samples were run in triplicate. *, P < 0.05; **, P < 0.01. 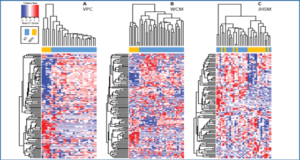 Exosomal lncRNAs may have great potential to be used for the early detection and diagnosis of cervical cancer, and serve as convenient and noninvasive biomarkers.